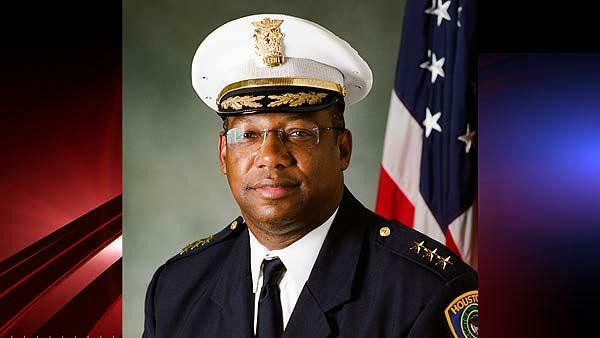 That&apos;s the message Houston Police Chief Charles McClelland has on the issue of marijuana legalization. The local police chief is making national headlines after stating that the moment has likely come for the state of Texas — and the United States in general — to legalize the possession of marijuana. "We cannot criminalize such a large population of society that engage in casual marijuana use," McClelland told KPFT 90.1 FM on Friday. "Most of us understand, we do believe, those of us that are law enforcement executives, that the war on drugs, the 1980 drug policies, was a miserable failure, there&apos;s no doubt about that." "The drug war, or the war on drugs, has been somewhat a failure ... It has disproportionately criminalized a certain segment of our population. Now, we certainly found that out after President Reagan&apos;s drug policies in the 1980s and mandatory sentencing, it has a disproportionate effect on young minority men. And what that has, it has a trickle-down effect, that a lot of young men who are minorities, in their early 20s, have a felony conviction on their resume, and now they&apos;re unemployable. And we wonder why they don&apos;t have jobs, they&apos;re not working, they&apos;re not contributing to society in a productive way, but we&apos;ve put them in a position to where the odds are stacked against them." "Most police chiefs understand that when it comes to marijuana use, we cannot criminalize such a large population of society that engage in casual marijuana use. We can&apos;t, you just can&apos;t continue to do that, we understand that ... this is why the federal government really needs to take the lead ... it makes it difficult for law enforcement to enforce the law when you have a state law that may allow it, federal government does not." It&apos;s about time: After legalizing marijuana use and possession, Colorado has hardly become the stoner-blighted hellscape that naysayers claimed it would. Gov. John Hickenlooper expects more than $1 billion in marijuana sales over the next fiscal year, the Denver murder rate has dropped 42.1% and taxed and legal recreational marijuana sales are generating nearly $20 million a month. Additionally, the massive drop in arrests for marijuana-related activity has freed law enforcement in the state to focus on real crimes. If that&apos;s what the rest of the nation has to look forward to, it&apos;s a small wonder that police are calling for a country-wide end to prohibition.